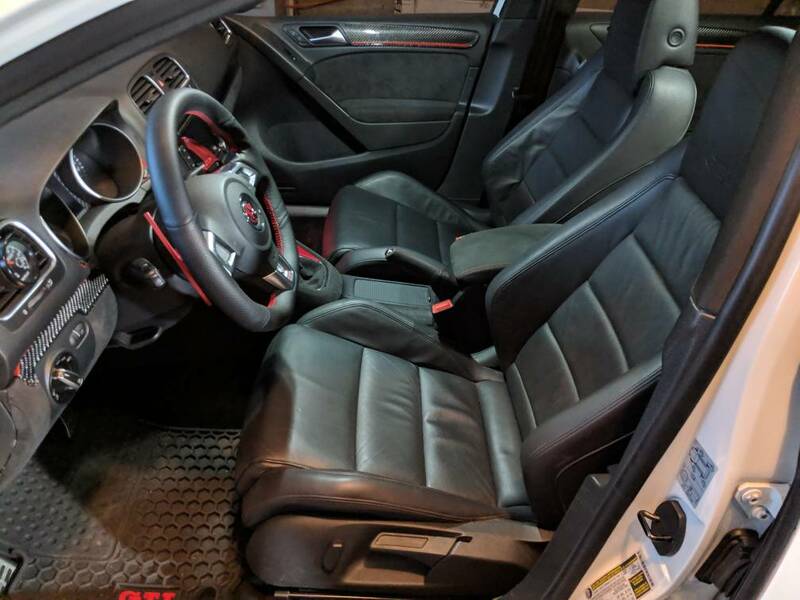 Finally found an interior trim set on ebay which includes the lower door trim panels (that your feet go over when you enter/exit the car) which go from the front to the back. Mine are all jacked up and won't clip in properly, so hoping this alleviates the issue. 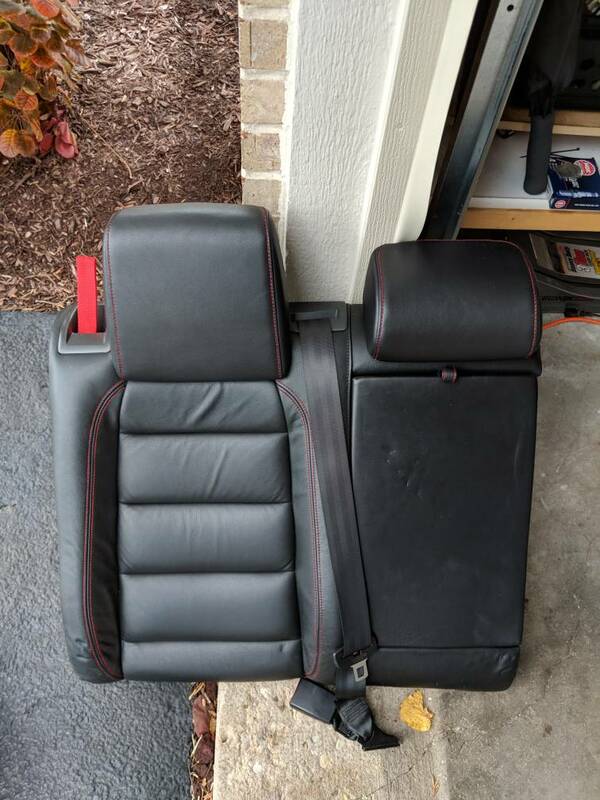 selling my front seats if anyone's interested that hasn't seen the FS thread. 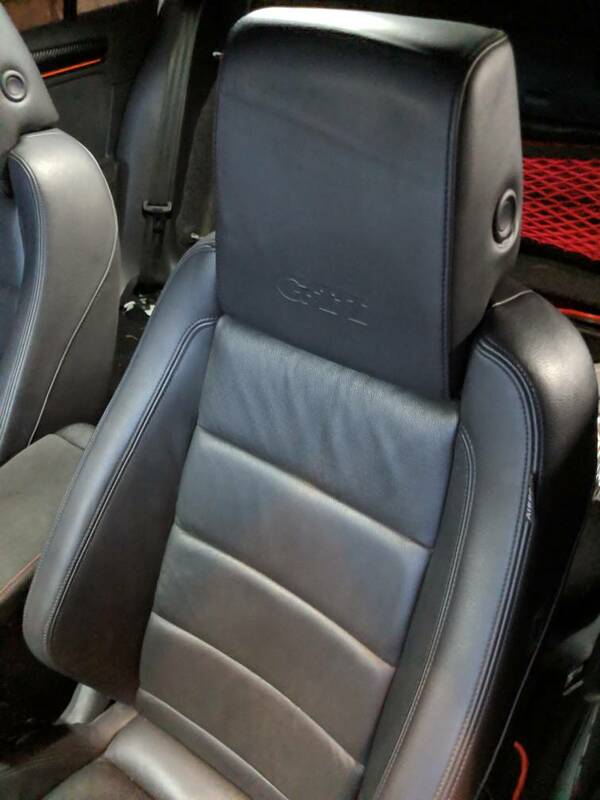 Nothing against the Braum seats at all, I'm just going back to a stock setup cause I need the money and may eventually piece the car back to stock. Odds of me losing my work truck due to new company policies may happen one day and I need to be prepared lol. Went back to I'm leathers. Found a super nice set of eBay for the right price. Wanted to go back to something classier; the braums we're just a little much. The braums and the rest leathers with red stitching (one section shown below) are for sale if anyone's interested. Where did you get those paddles?! Hahahaha!! Nice! After zooming in I realized they are just the stick-on kind. I have a set from USP Motorsports. Yeah, they are nice however being a cheaper brand the anodization is a little more pink/purple than red. not as red as i would like. But they feel good and are really the only design paddle shifters that i like. 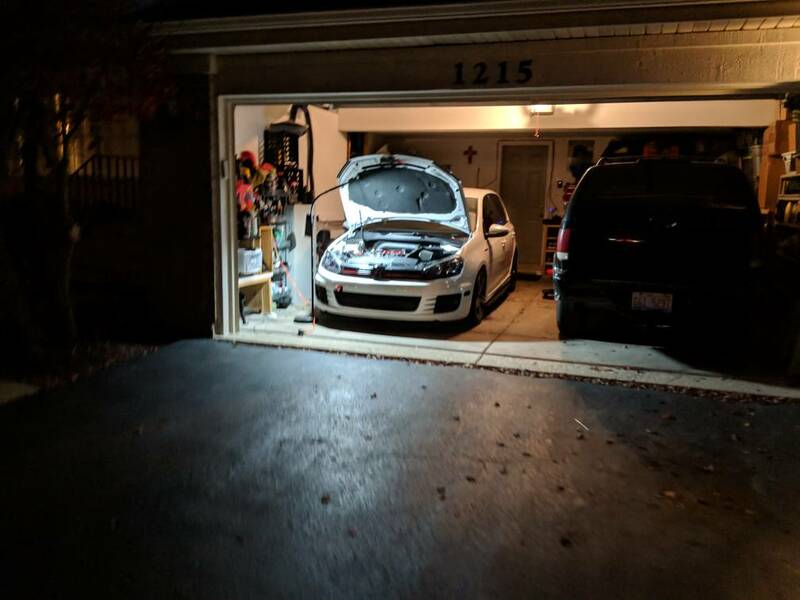 Working with my garage light last night thought the lighting was nice for a pic or two.My buddy carson made a nice little bracket for my catch can so that's finally secured. Last edited by riceburner; 11-28-2018 at 11:34 AM. 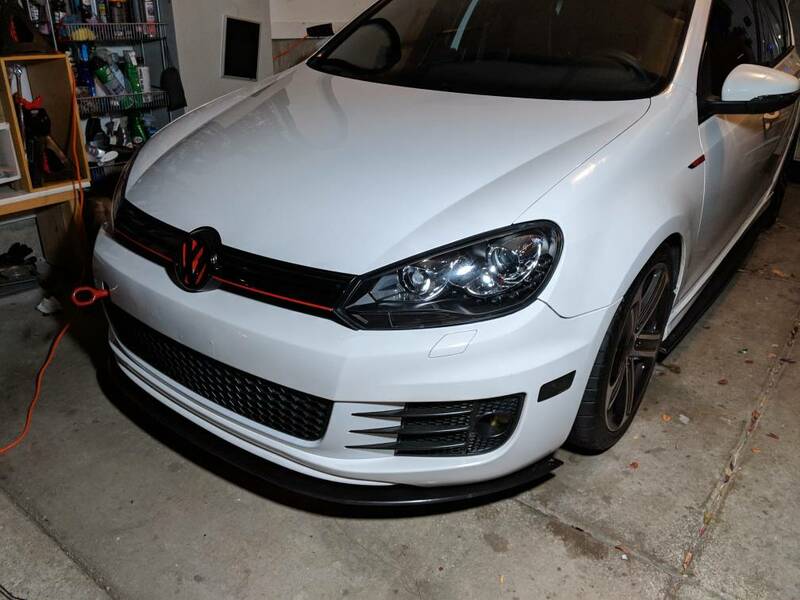 I got them painted candy white so they should look awesome I hope! 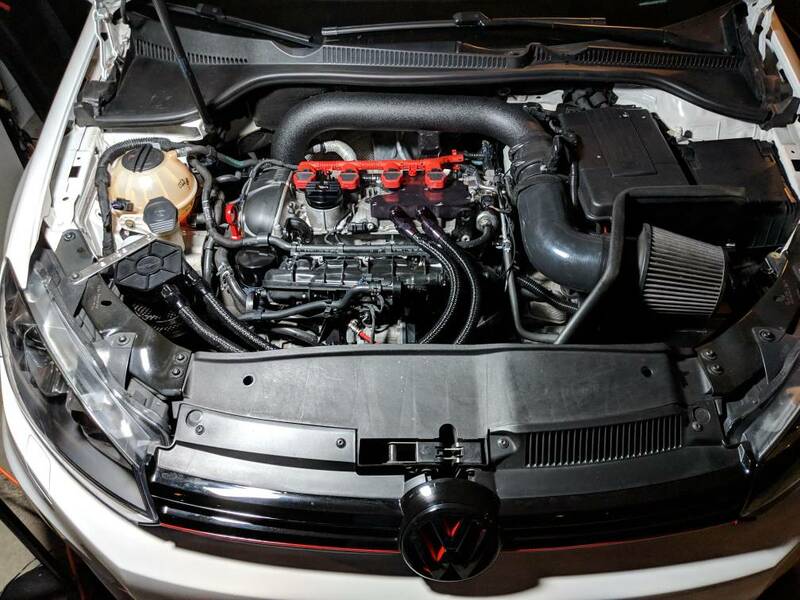 Also ordered a fx-r retrofit kit from theretrofitsource on their black friday deal. Going to swap the projectors in my depo lights, paint all the chrome black and maybe a/some red accent/s somewhere. Very excited for that and will document the whole process since there is very little information on the boards on retrofitting MK6 lights, let alone projector lights! Lastly, finally got my new rear control arms installed so I could adjust the rear camber a bit. So far i havent rubbed the rear fender which is nice. Really interested to see how these turn out, I've been on the fence about those for awhile.